Most people are familiar with the endangered species list. Officially known as the IUCN Red List of threatened species, it's coordinated by the International Union for the Conservation of Nature (IUCN) and provides the most up-to-date indication of the health of the world's plants, animals and fungi to guide critical conservation action. Examples include reports on declining leopard populations and improving mountain gorilla numbers. The list also signals when a species hasn't been sighted in decades, is feared extinct, or has been "rediscovered" – as was the case for the large-billed reed-warbler. To date, more than 91,000 species have been assessed for The IUCN red list. But, how is the list constructed and who is involved? It's a surprisingly complex process, involving the combined efforts of literally thousands of researchers. These "specialist group" volunteers use their expertise and time to create and maintain a central database which monitors the conservation statuses of the planet's species. For mammals alone, there are 37 specialist groups. The last conservation assessment, conducted back in 2012, led to the alarming conclusion that lemurs are the most endangered group of mammals on the planet – 94% of all lemur species were classified as either "endangered" or "critically endangered". A lot can change in five years. Since then, new lemur species have been described and there's been a wealth of new field study data gathered on known lemur species. All this feeds into the current lemur conservation status reassessments. The basis of the cyclical process is information that the IUCN specialist groups gather from researchers and their field studies. The researchers can either be university based, NGO's or privately funded ones. The field data are assessed according to an extensive set of evaluative quantitative criteria, including: population size; the risk of continuing decline in total population size; and the degree to which the species under consideration now exist in small and relatively isolated subpopulations, as these subpopulations are at a greater risk of going locally extinct. Species were broadly categorised as "endangered", "vulnerable", "rare", "indeterminate", or "other". But, since the mid-1990s, a quantitatively-based conservation status assessment process has instead been adopted. This developed out of internal review of the species conservation assessment process. The current assessment practice places a premium on using up-to-date quantitative field data to the greatest extent possible. Species are now classified as either: "data deficient", least concern", or as falling into one of the "threatened" categories, "vulnerable", "endangered", or "critically endangered". It's not unusual that for a given species the desired quantitative data are simply not available or known. In such cases, the IUCN still encourages that "the absence of high-quality data should not deter attempts at applying the criteria, as methods involving estimation, inference and projection are emphasised as being acceptable…"
This is where the role of research experts really comes to the fore. Researchers who have conducted recent field studies can provide relatively up-to-date insight on situations regarding species, even though these data may not yet be published. 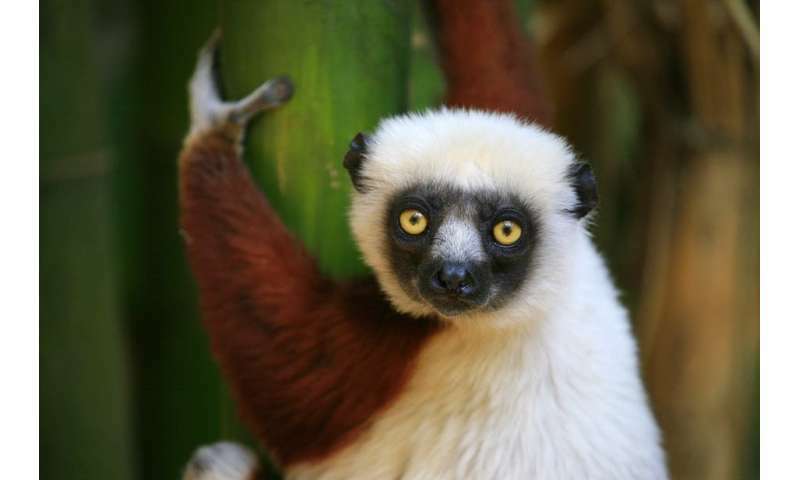 For many species groups, including lemurs, it's a relatively short list of researchers who fit that bill. So, to some extent, it's a case of either using on-the-ground knowledge of the species or site knowledge of those experienced researchers, or attempt to arrive at conservation assessments without their expert input. But it also depends on who is in the room when the assessments are made.